Lot Name: PRC, 2013, Sacred Buddhist Mountains-Mt. Wutai Wenshu 80g silver medal (with certificate and box, mintage 999 pieces). Lot Name:PRC, 2013, Sacred Buddhist Mountains-Mt. 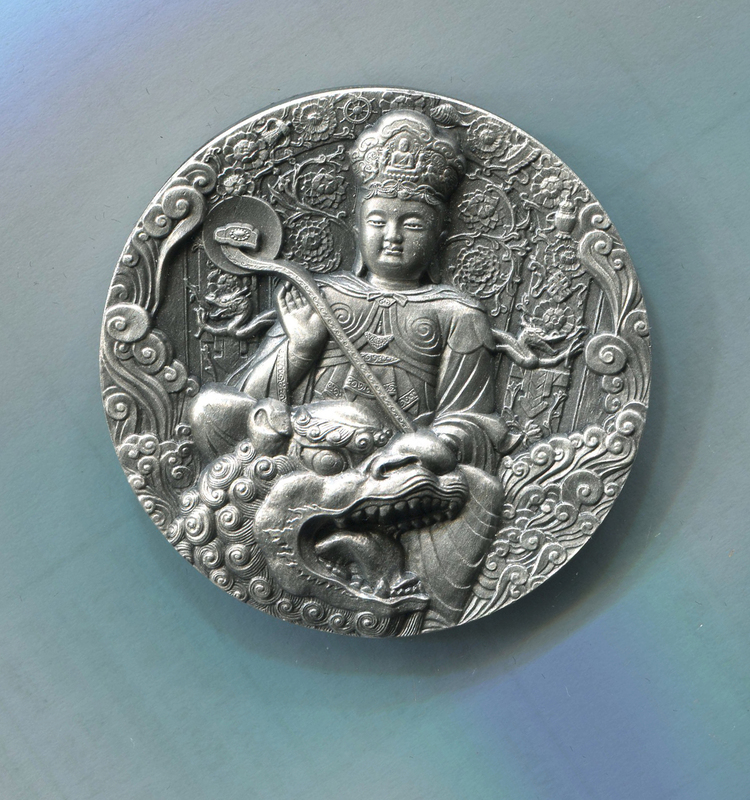 Wutai Wenshu 80g silver medal (with certificate and box, mintage 999 pieces).